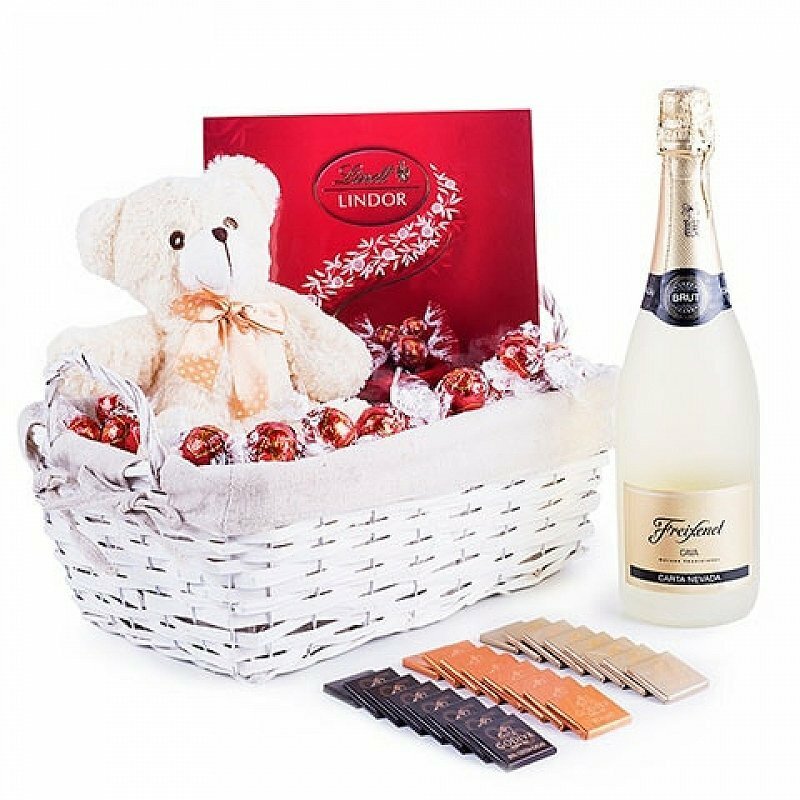 Make a chocolate and cava basket delivery today with FloraQueen. International delivery on gift baskets. Godiva and Lindt chocolate selections. Sending gift baskets for a birthday or to say thank you to someone offers. Everyone loves receiving gifts on their special day and we make it easier to share your love from far away with our international gift delivery service. Choose from our wide catalogue of exciting gifts for both gifts for him and gifts for her. If your love would like to be serenaded on a romantic occasion with champagne or a luxury box of chocolates then choose from one of our opulent range from famous marques such as Moet and Lindt. We also offer cuddly toys that would be perfect to welcome a new baby or to say thank you as well as delicious gourmet gift baskets for a special someone who deserves to be treated to the finer things in life. All our orders are customisable with thoughtful extras that allow you to add your own style to the order. Maybe you want to express your thoughts through words as well as actions; if so you can add a personalised message with ease. You can also choose from additional gifts such as candles or plush toys to add a little something extra that your lucky recipient will love on their special day. We deliver worldwide! Take advantage of our international delivery service to share the love with your far flung friends and family. Receiving a gift on your loved one´s day of celebration always adds an extra special glow to their day.